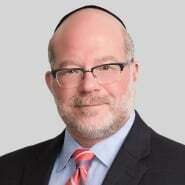 Jay Levine, a partner in Porter Wright's antitrust practice, recently was interviewed for and quoted in the article, "Phoebe Putney case may help FTC battle certificate of need laws - attorneys," published in the Aug. 27 edition of the Policy and Regulatory Report, part of the Financial Times Group. ... The case was a “perfect vehicle” for the FTC to change state action laws, Jay Levine, an attorney at Porter Wright, told PaRR. “You don’t get that many opportunities to have the Supreme Court weigh in on facts that make good law,” he said. ... The FTC’s failure to secure a divestiture of Phoebe North may actually help the commission, as the outcome could be “another arrow in the quiver” of CON opponents, according to Levine. The FTC can now point to this case as evidence that CON laws permit “objectively anticompetitive” behavior.